In 2017, two 13-year-old boys were riding a dirt bike alongside a canal in Palm Beach County when a terrible accident happened. The young driver missed a sharp turn and the bike flipped down an embankment. Both boys were thrown from the bike, but the driver’s friend, hit his head, badly breaking his jaw and nose. The boy was pronounced dead at the hospital. The boy’s mother recently filed a wrongful death lawsuit against the driver’s mother, alleging that the driver was unfamiliar with the motorcycle and did not possess the knowledge or ability to safely operate the vehicle, especially without supervision. The deceased boy’s mother claims that the driver acted negligently in allowing her son to use the bike and that her negligence was “a direct and proximate cause” of her son’s death. She is seeking $15,000 in compensation for medical costs, funeral expenses, and pain and suffering. It’s important to note that this kind of dirt bike is not a bicycle but rather a small motorcycle that can reach speeds up to 50 miles an hour. When Can Parents Be Held Liable for their Children’s Actions? Under Florida law, parents are responsible for injuries or property damage caused by their minor child’s negligence or willful misconduct while operating a motor vehicle. However, “motor vehicles” do not include motorized vehicles like the one driven by the boy in this case. If a minor child “maliciously or willfully destroys or steals” city, county, state, school, business, religious, or personal property, then the property owner may recover damages from the minor’s parents. For example, if a child paints graffiti outside of a school, then his parents might have to pay for the damage. Of course, Florida also has specific rules requiring parents to supervise their children. For example, any child younger than 16 years old who operates an off-highway vehicle must be supervised by an adult. Additionally, minors younger than 16 must complete an approved off-highway vehicle safety course. Assuming that the bike driven by the boy qualifies as an off-highway vehicle (which it likely does), then the deceased boy’s mother can argue that the boy driving did not meet these requirements. This may be sufficient evidence of negligence. 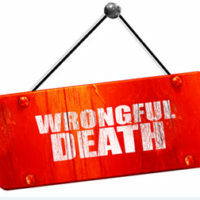 The deadline for filing a wrongful death lawsuit is two years from the date of the death. Keep in mind, too, that Florida is a comparative fault state and damages are apportioned among wrongdoers according to their percentage of fault. Contact a West Palm Beach personal injury attorney at The Pendas Law Firm today for a free consultation if you or a loved one was injured or killed by a child’s actions. The child’s parents may be liable for those injuries or wrongful death. We will examine the facts of your case and pursue the compensation that you deserve.